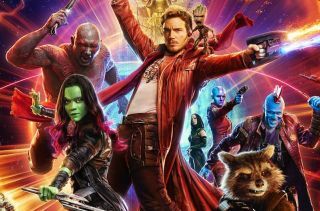 Disney's first Ultra HD 4K Blu-ray: Guardians of the Galaxy 2 | What Hi-Fi? The film will hit the shelves in the US at the end of August, with a 3D version also available. Disney has finally entered the Ultra HD 4K game, with Guardians of the Galaxy Vol. 2 (the sequel to Guardians of the Galaxy – and prequel to Guardians of the Galaxy Vol. 3) coming to 4K Blu-ray in the US at the end of August. In a post on Facebook, director James Gunn says it has taken "a couple of years of begging and pleading" with Disney, but that "a being composed of light truly appears to be a being composed of light!" And with HDR support too, it should look all the better. There will also be 3D support, for those that want extra dimensionality from the film. Hopefully, this should pave the way for other 4K Blu-ray releases, including Star Wars and Pirates of the Caribbean 5.